WhatsApp Messenger has become one of the most popular applications for Internet users. Thanks to this application, it is possible to instantly receive messages from friends and loved ones. According to WhatsApp messenger guide when switching from SMS to WhatsApp exchanging text messages, videos and photos with other users of the system become possible for free. The application is designed for use on mobile devices. Some time ago, it became possible to install WhatsApp on computers and laptops, also at no charge. Application users can become the owners of gadgets running under various modern operating systems. The application uses a Wi-Fi or 3 or 4G internet connection. The level of WhatsApp security has been discussed by various experts for a long time. In the recent past, the lack of encryption of the transmitted information and the ability to bypass the WhatsApp setting of mandatory confirmation of the mobile device number made it vulnerable to unauthorized intrusions. There was no guarantee that all correspondence sent through the application and its history will remain confidential information and will not be revealed by wrong people. Even if the owner removes all correspondence over time, it will not be permanently erased. All these vulnerabilities made the developers to recently introduce the significant changes in encryption algorithm such way improving security to the safe level. All files are archived and stored in the phone. Together with the user’s personal information, third-party people may have access to the data of subscribers who are on the contact list, even those who do not use WhatsApp. We present to the application all the information about the person that we write in the contact fields when we create it. 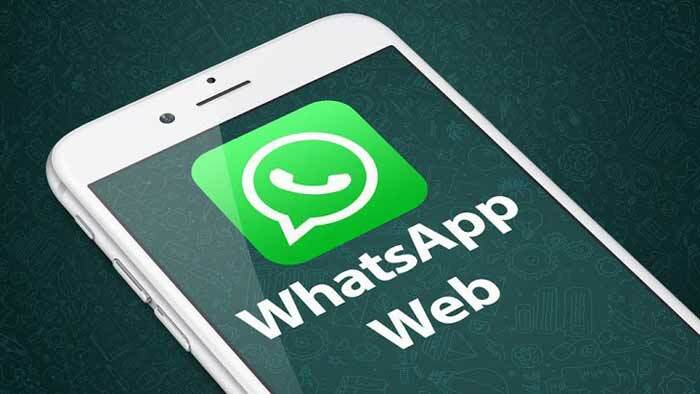 Following media reports regarding WhatsApp security issues, the developers began to refine it and were able to substantially improve the security of the message storage and personal data. There is no need to create an account to connect. It is enough to specify the mobile device phone number and confirm that you are the owner of it. Free use of the system. A good alternative to ordinary SMS messages. It is possible to send videos, audio recordings, and photos to your chat buddies. You can create group chats and conferences. Even in idle mode, correspondence is received and becomes available when you turn on the phone. A large number of additional options, including emoticons. Many different settings and useful features. Application developers are positioning WhatsApp as a free alternative to SMS messages. Its working principle is simple: when installing the application, a personal account is created based on the phone number. Next, the system copies the address book of the mobile device and automatically adds all those connected to WhatsApp to the contact list. There is a positive point in this – if someone from the phone book contacts becomes a user of the system, it will automatically be added to your contact list. There is no need to use a browser for online communication. You can stay online using your mobile device. Due to the fact that the developers used the XMPP protocol, the exchange of messages has become instant. While working with a contact the program opens a window for communicating with it. Near the avatar there is information when the person was online, indicating the time and date. The options “emoticons” and “attachment” are located in the right upper corner of the screen. You can insert photos, video or voice message into the correspondence with their help. One of the latest features, when you can insert an answer template to a question, has become quite popular. When you send a text message, a check mark indicating that the message has been sent appears next to the text. A second check mark next to the message indicates that the recipient has actually read the text. This convenient feature simplifies the process of communication and eliminates the question of whether the other person received outgoing information. It is possible to simultaneously communicate with multiple users. The attractive design of the program has a nice light background. Where are the messages of WhatsApp users stored? The chat history, as well as all sent and received information is automatically saved in the service. These backups are stored in text form. Messages and media files are unencrypted. This allows easy reading the entire correspondence if someone has access to a user account. The developers did not foresee that WhatsApp password can protect access to information. Perhaps this innovation will appear in the near future. Any user, knowing your account, will be able to access the WhatsApp folder where archived files of images and messages with the indication of the chat date, name and phone number of the contacted person are saved. By default, the autosave function is disabled and the user may choose whether to activate it or not.